Generally, the bigger a genre gets, the more independent labels it supports. Electronic music is very much in a new golden era in which longstanding imprints are thriving on new artists and new fans. Some cater to traditional styles, others to experimental leaps. These five labels are all well-respected – and still root for the underdogs. Why we love it: Credited with nurturing Depeche Mode, Goldfrapp, Moby, and Erasure, this British label has been around so long – since 1978 – that it snagged its domain name before a weird company selling an unrelated product could. While it caters to a variety of artists, Mute is truly a tour de force in the electronic realm. Its current crop includes Polly Scattergood, A Place to Bury Strangers, and Arca. How to submit: Sending three or four tracks at a time via email is the suggested protocol. Read the rest of the details here. Why we love it: Founded by Steve Aoki in 1996 with the mantra "by any means necessary," this imprint is as widely respected as it is DIY-minded. Artists like MSTRKRFT, the Death Set, Azari & III, Felix Cartal, and a slew of others have all released through Dim Mak. 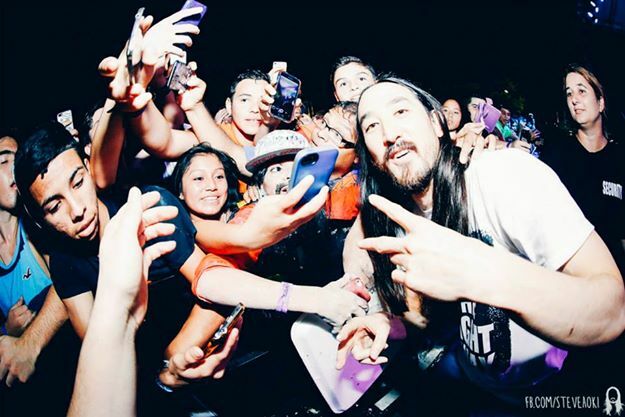 Despite the obvious power Aoki wields, he still accepts demos from fledgling artists. That's how Bloc Party blew up, after all – they sent a seven-inch and were signed shortly after. How to submit: There are no specifics listed, just an email address. Why we love it: Some of the most fun, most inventive, and most beloved bands of today's indie dance-pop scene call this LA-based label home. Think Salem, Charli XCX, Kate Boy, Little Boots, MS MR, and MEN. How to submit: Email them. Your best bet is to be concise in your inquiry; include an EPK and links to tracks and social media. Why we love it: Josh Cheon initiated the label in 2009 as a sort of homage to the '80s independent scene. His qualifications, just to name a few: former radio music director and host; former intern at labels like Beggars Banquet, 4AD, and DFA; and organizer of a synth/wave club night in San Francisco. To join his well-curated ranks, which include contemporary acts like Death Domain, Cute Heels, Sumerian Fleets, and a slew of obscure groups that paved the path for all of them, would be a career-altering boon for any likeminded band on the rise. How to submit: There's a physical address and an electronic one, too, plus a promise that all demos are listened to. Why we love it: Back in the '80s, R&S was the go-to label for Belgium's electronic offerings. Through its main arm and subsidiaries like Apollo, the imprint was heralded as one of the genre's best, and brought artists like Aphex Twin and CJ Bolland to the masses. Things went dark during the early 2000s, but it was relaunched in 2008 and is now home to contemporary icons like James Blake and Pariah, as well as reissues of classics and once-overlooked gems. How to submit: Links to music can be sent via email.